Porsche unveils the latest version of its iconic sports car. 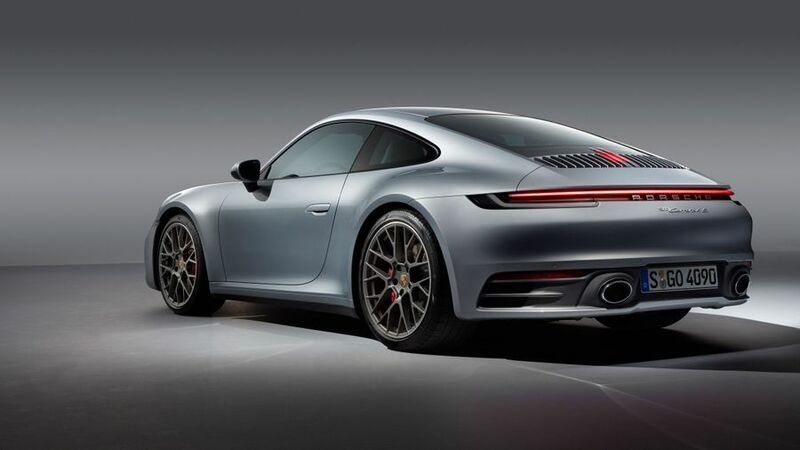 This is the new Porsche 911, the latest evolution of one of the most famous sports cars ever. 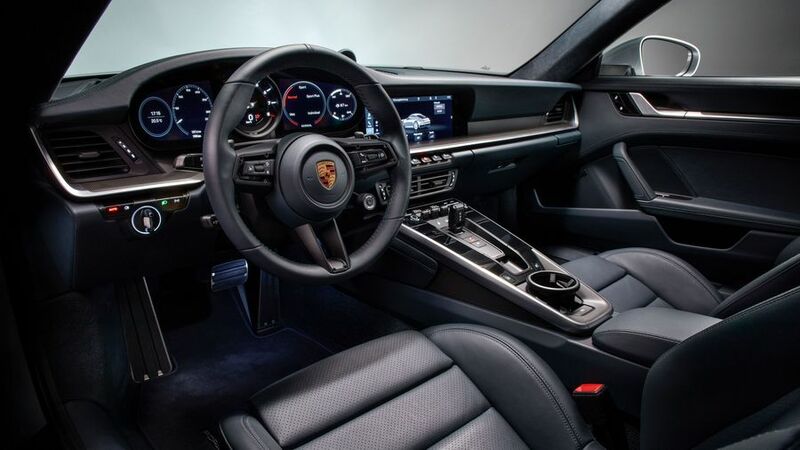 Boasting a more muscular look, and a revised interior, Porsche’s flagship promises a mix of cutting-edge technology mixed with the kind of driver involvement that the company prides itself on. It features new engines, better fuel efficiency and a new gearbox, as well as a range of new assistance systems to improve safety. 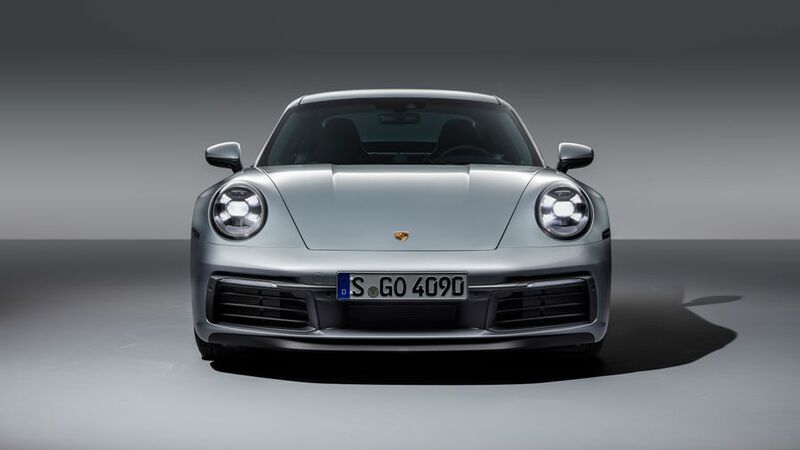 Codenamed 992, the latest 911 isn’t all-new, but rather is a heavily upgraded version of the 991-generation car that’s been with us since 2011. Looks-wise, it rides on big 20-inch wheels at the front and 21-inchers at the back. All cars are now the same width, changing the historical difference of four-wheel drive models having a wider rear. The door handles sit flush with the bodywork, popping out electrically when needed. New LED headlights give an up-to-date look as well as bright illumination, and the pop-up rear spoiler is considerably wider than before. The rear lights now stretch across the car, much like other models in the Porsche range. The interior has been completely overhauled, with a 10.9-inch touchscreen in the centre of the dashboard and one analogue dial in the middle of the instrument panel, flanked by a screen either side. The rear-wheel drive Carrera S and four-wheel drive Carrera 4S feature a turbocharged, flat six-cylinder engine with 450 horsepower, up 30 horsepower from the previous model but with reduced emissions. This means a 0-62mph time of 3.7 seconds in the S and 3.6 seconds in the 4S, which represents an increase of 0.4 seconds for both models compared to their equivalent predecessors. Opt for the car’s Sport Chrono package – which adds features like a sportier chassis with tune-able suspension, and launch control – and you can knock 0.2 seconds off those figures. Both cars come with a new eight-speed version of Porsche’s PDK dual clutch gearbox. All cars will include a new Wet mode, which detects water on the road, warns the driver and allows the car’s various settings to be tweaked at the push of a button. Options will include adaptive cruise control and a night vision camera. Both versions of the new 911 are on sale now, priced from £93,110 RRP for the Carrera S, and £98,418 RRP for the Carrera 4S.